Tough, stylish, secure and weather sealed all round. 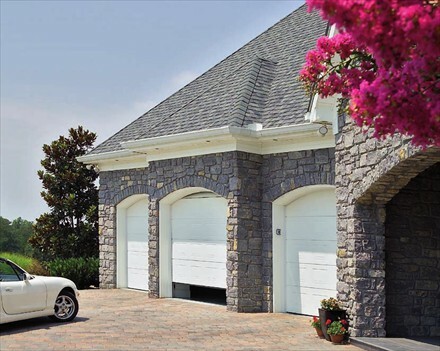 Sectional garage doors are probably the outstanding garage door product made today. 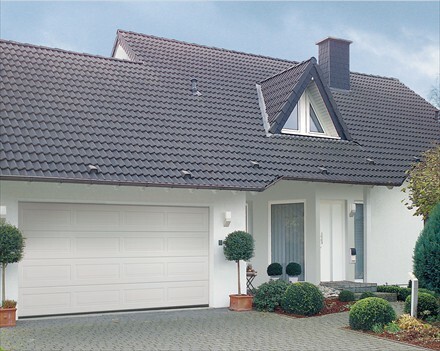 Made of four separate interlocking horizontally-hinged panels, manufactured to a high standard in either steel or of timber, the door generally fits to the rear surface of the front brickwork of your garage. Only a small amount of space is required to the sides and top of the garage opening for fitting the side tracks. 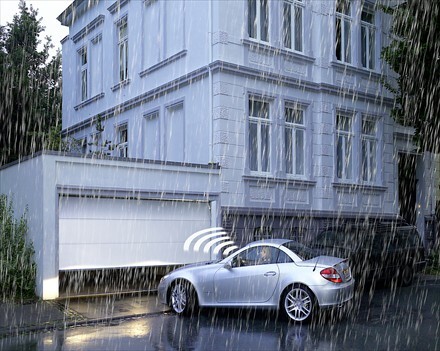 The entire garage door rises upwards in a straight vertical line, each section pivoting backwards when it reaches the top to slide above head height. 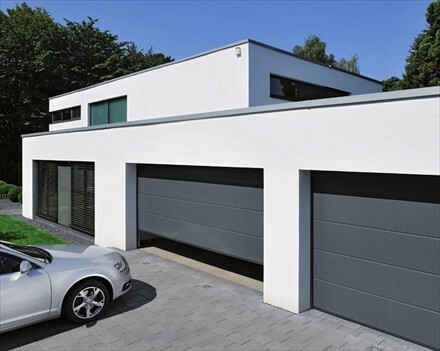 You don't need any clearance outside the garage for this type of door, nor do you need any door frame, which increases the available width for you to drive through. 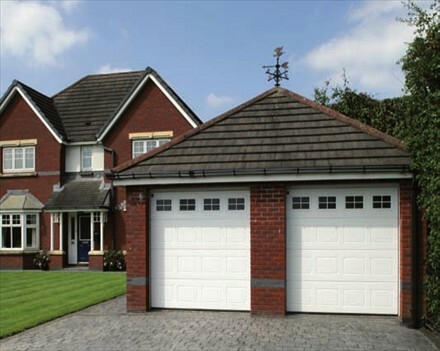 We can supply and fit all makes of sectional doors, to suit all budgets. From single-skin for standard doors, all the way up to 45mm thick, on panels anything up to eighteen feet long. The cost of these very fine doors is comparable to the up-and-over types, but the benefits are far greater. You are welcome to browse more designs using the downloadable brochures below from one of our suppliers. Other designs are also available.